You can’t have an artist without a dancer, you can’t have a drummer without a song. You have to look at the whole picture. It’s not just a canvas and a paintbrush; it’s the bridge between past and present. 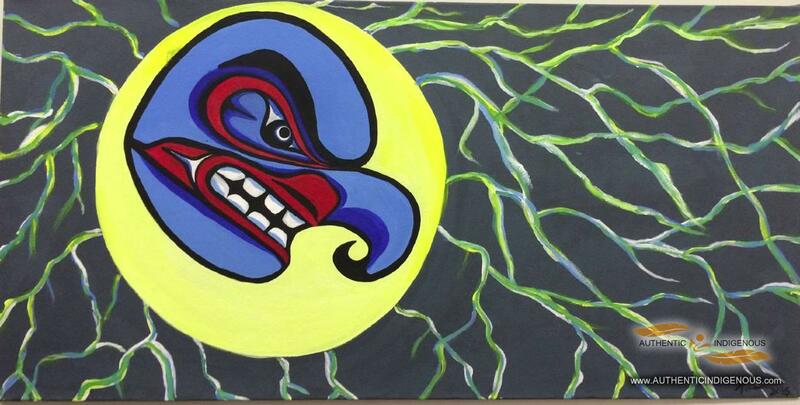 Sheldon Tallio, a cultural leader in the Nuxalk community, has been creating art for almost 30 years. 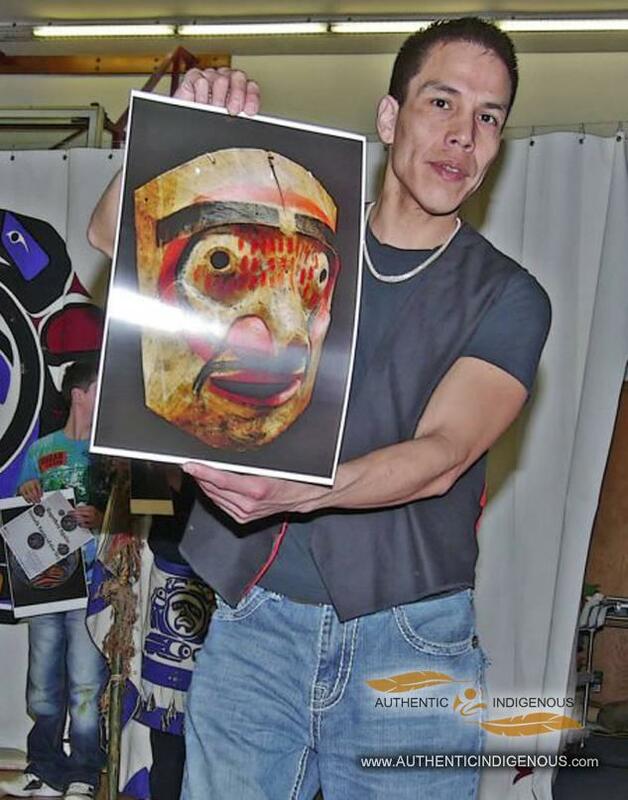 Moulded by the elders of the Nuxalk Nation, Tallio has been active in producing art, creating drums, and singing and dancing at cultural functions and potlatches for decades. He considers art to be interconnected with all aspects of the culture, and his work is reflective of traditional Nuxalk beliefs in a changing landscape. Tallio is a talented painter and his work pushes the boundaries of tradition; daring to use colours and styles not yet explored. His inspiration comes mostly from the past and his natural surroundings, and much of his artwork will arrive in the form of a vision before it’s created. In addition to painting, Tallio also carves masks, creates panels depicting family smayustas (creation stories), and makes drums in the traditional style. 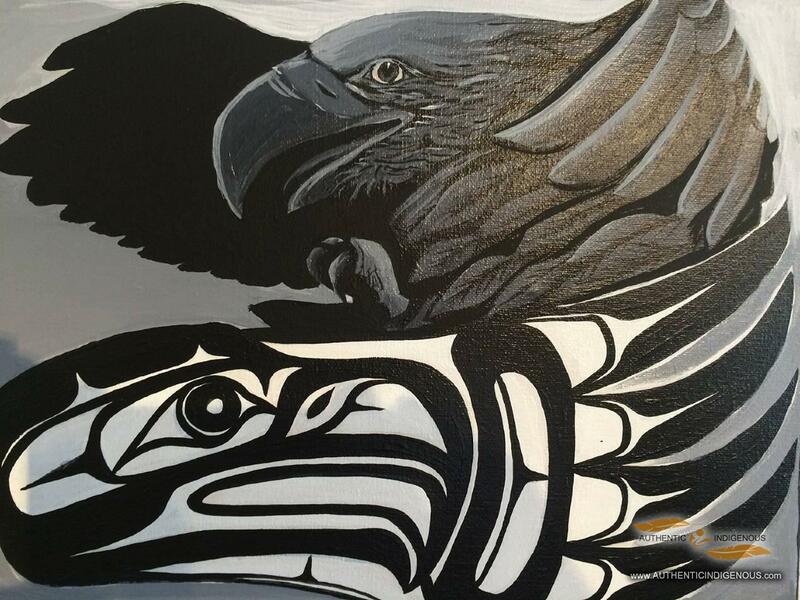 He is keenly aware of the responsibility of carrying on Nuxalk tradition and takes his cultural role seriously, with a depth of understanding of the connection between art and life.